Abundant wildlife and serene wilderness dot the landscape of Pescadero. Offering refuge to birds and animals, Pescadero State Beach is a popular spot to view seals and sea lions in their natural habitat. 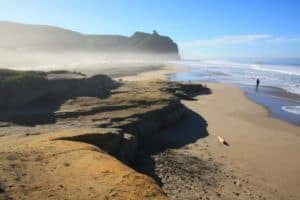 You’ll find several beaches, as well as a breeding ground for elephant seals and the Marine Education Center at Ano Nuevo State Reserve. 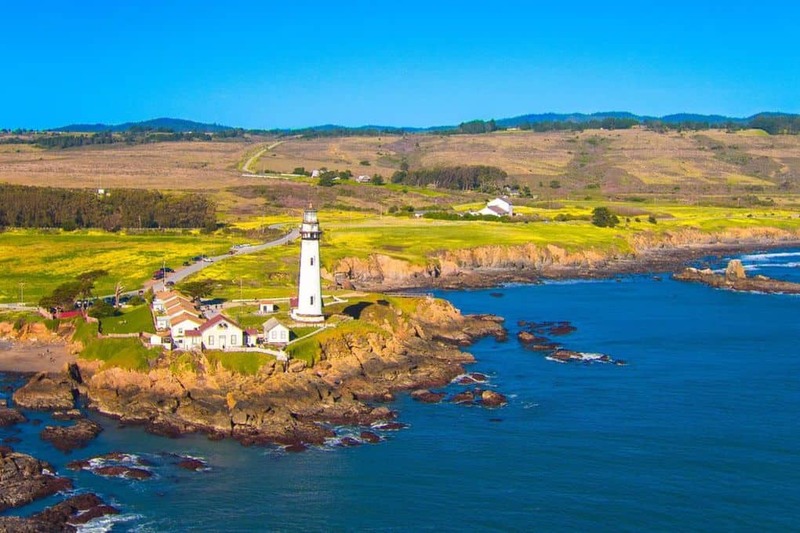 High on a cliff at Pigeon Point Light Station you’ll find one of the nation’s tallest lighthouses. You can’t go inside, but you can visit the grounds of the historical site, which dates back to the late 1800’s. Visit beautiful Pescadero CA today. 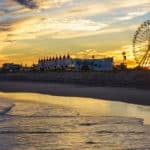 For a list of all the great area beaches, click here. Average temperatures in Pescadero CA vary little. If you’re looking for the very warmest time to visit, the hottest months are July thru September. The warmest time of year is generally late August to early September where highs are regularly around 78°F with temperatures rarely dropping below 57°F at night. The busiest months for Pescadero CA is June thru September. 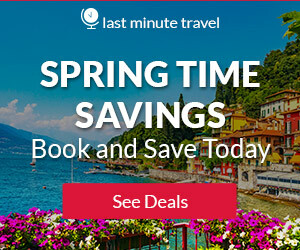 Prices for hotels and flights will be most expensive during these months, though you can save if you purchase well in advance. 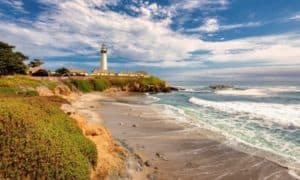 Perched on a cliff on the central California coast, the 115-foot Pigeon Point Lighthouse, one of the tallest lighthouses in America, has been guiding mariners since 1872. The coastal areas surrounding Pigeon Point Light Station are rich with life. Marine mammals, such as seals and whales, can be seen regularly from shore as they pass by beyond the surf. The intertidal zone along this part of the coast, particularly in the rocky reefs that flank the light station, contains a diverse and numerous variety of plant and animal life. 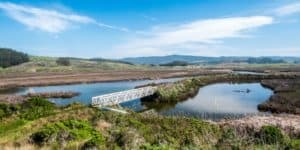 The 235-acre Pescadero Marsh Natural Preserve, a part of Pescadero State Beach, lies on the eastern side of Highway 1 and surrounds the confluence of the Butano and Pescadero Creeks. The Marsh Preserve includes several habitats—a tidal estuary, freshwater marsh, brackish water marsh, dense riparian woods, and northern coastal scrub. The Sequoia Audubon Trail is the main trail through the Marsh Preserve. Please stay on the trails to protect wildlife and plants. 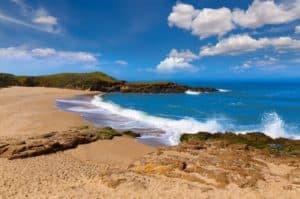 Bean Hollow State Beach is a beautiful cove secluded beach flanked on both sides by rocks. There is a one mile kid-friendly trail that links this beach to nearby Pebble Beach. Both beaches are considered part of Bean Hollow State Beach and are managed by the California Parks Department. 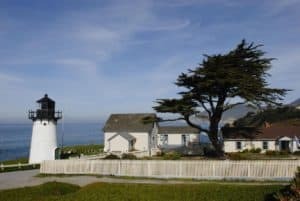 Hosteling International at Pigeon Point Lighthouse is a shared overnight accommodations. 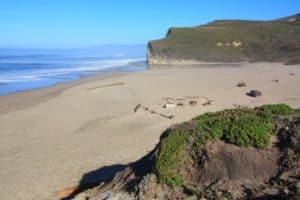 Featuring a hot tub overlooking the ocean, this oceanfront, Pescadero hostel offers free WiFi in all rooms. 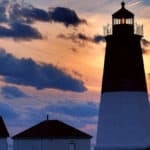 For more information, pricing, or to reserve your room visit the Hi Pigeon Point Lighthouse Hostel. South of San Francisco off coastal Highway 1, this Half Moon Bay, California hotel offers spacious rooms with free Wi-Fi and serves a daily continental breakfast. For more information, pricing, or to reserve your room visit the Half Moon Bay Lodge. 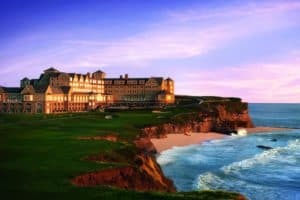 Located on a cliff with a full spa overlooking the Pacific Ocean, The Ritz-Carlton, Half Moon Bay is surrounded by 2 championship golf courses. It features spacious rooms and 2 fine dining restaurants. For more information, pricing, or to reserve your room visit The Ritz Carlton Half Moon Bay. 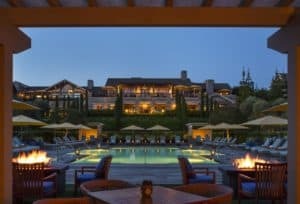 Located on 16 private acres, Rosewood Sand Hill offers sophisticated accommodations in West Menlo Park. 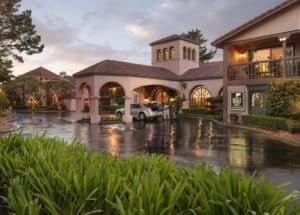 This boutique hotel features an outdoor pool and spa center, on-site dining options and elegant guest rooms with rain showers and free WiFi. For more information, pricing, or to reserve your room visit the Rosewood Sand Hill. 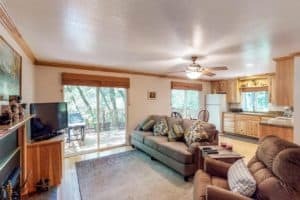 Located in Boulder Creek, Little Redwood Grove provides self-catering accommodations with a patio and free WiFi. Guests staying at this vacation home can use the fully equipped kitchen. For more information, pricing, or to reserve your room visit the Little Redwood Grove. It’s a shame that as someone who lives in CA, I still don’t know many of these beautiful places. CA has so many heavenly places it’s a blessing! Definitely gonna plan some getaway soon this summer…. Thanks for this! You are welcome and yes, you should know all of these areas 😀 But then I live in Florida, and we have a LOT of nice beaches as well, and I don’t know some of them. Thanks for visiting Pescadero CA! Yes, and it is a bit cooler in the summer here. I live in Florida where it gets pretty warm and I love it! Thanks for visiting Pescadero CA! That is very beautiful place, I never been USA before, but if I went there, California will be the first place i go! I like your photos and video, I can imagine how great if i was there, these hotels are very good too! 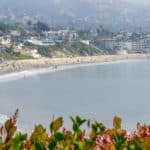 Thank you for these information about CA! You are welcome and you have to vacation to California, it’s awesome! Thanks for stopping by! Another destination I am so pleased to learn about that I had absolutely no knowledge of. 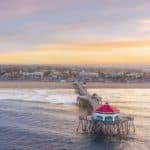 The US boasts some of the most beautiful and expansive coastal destinations, it seems! Just magnificent! I am especially drawn to the name Pescadero after having lived in Mexico and hearing the term with some frequency as a fisherman or fish dealer. The opportunities to see the variety of wildlife is very appealing. Thank you for yet another solid and travel inspiring post Leahrae. Another one for the bookmark! You are welcome Bex and glad you enjoyed your digital visit to Pescadero CA! Thanks for visiting beach travel destinations. I think my cousins have visited Pamponio Beach before. It is quite beautiful down there! I think I will definitely have to visit Duarte’s Tavern during my next visit in Ca. I absolutely love the sights, the places and the people. Thanks for this post! This has given me a bunch of new ideas! Great Jacob! I am glad I could help. Thanks for visiting beach travel destinations. I love the videos! They give me a taste of the place before visiting it. One question. Is it possible to go fishing ? The name of the place reminded of my childhood when I used to go fishing with my daddy. Great place ! Thank you Barbara for your kind comments 🙂 I would definitely recommend the Half Moon Bay Lodge. I think with teenagers, this is going to be the best option. Second choice would be the Little Redwood Grove. I don’t know that one caters to teenagers more than another, but these two are better for families. Please let me know if you have any additional questions. I have never heard of Pescadero CA before. This looks like a beautiful place to vacation. I really think you have covered every area of this place very well and answered any questions I had. I guess the only question I have is where it is located on the coast as far as relation to a nearby well known city? Pescadero is close to San Francisco. That should help you with where it is located. So up north where it’s a little bit cooler and not so hot. Perfect weather for such a wonderful place. Thanks for visiting! The Rosewood sand hill is such a wonderful place to stay. I already know that is the hotel I will be staying at. It looks like paradise! With all the wonderful beaches close by and the scenery, I can wait to visit California. I also like the warm weather. I really don’t like it too hot. Will I need to bring any warm clothes with me? Yes, I agree that the Rosewood Sand Hill is a wonderful choice for accommodations in Pescadero. I would take a light jacket just in case it gets chilly at night. Maybe even a lightweight pair of pants. Then just take along the normal summer apparel and you are all set. Thanks for stopping by! I like going to the beach for relaxation and to catch the feel of true nature. Most of the time it is good to take the family there to have fun. Staying at the beach can be therapeutic and soul lifting.Whenever one is stressed or depressed it good to go to the beach and get the healing effect of nature.Thank you for this post, it is very enlightening and it truly shows us the different places we can go to relax. You are so welcome and I agree that the beach does all that and more. I am glad you enjoyed my Pescadero CA review. Thanks for stopping by! I find it insightful to read your blogging. Keep up the good work. Thank you so much for taking the time to leave me comments. I am glad you are enjoying visiting beach travel destinations. Come back again! Thanks for this post. I so much love the pictures, Pescadero CA is really a beautiful place to visit for vacation. It offer so much natural beauty, and this is what I love when I go on a vacation. This is one of the place I have decided on visiting in California. I am really looking forward to it. I am looking forward to vacationing here next summer when the temperature is warm. I can enjoy the natural beauty of the environment.